Meet Elle Evans. Pretty, popular - and never been kissed. Meet Noah Flynn. Badass, volatile - and a total player. And also Elle's best friend's older brother... 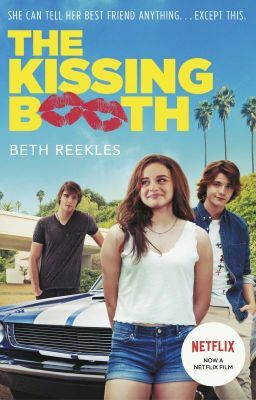 When Elle decides to run a kissing booth for the school's Spring Carnival, she locks lips with Noah and her life is turned upside down. Her head says to keep away, but her heart wants her to draw closer - this romance seems far from fairy tale and headed for heartbreak. But will Elle get her happily ever after? [This book has been published by (Penguin) Random House and is now available as a paperback in the UK, USA, Philippines, Australia, New Zealand, Singapore and more, AND in several languages, including Spanish and Greek. The ebook is also available online. Check out your local Amazon to see if you can grab a copy! THIS IS A SAMPLE ONLY.] This book has also been adapted as a Netflix Original Movie, available worldwide from 11th May 2018.